After reading about the Deontological Approach, I understand it to be a very black and white approach to business ethics. We would assume in taking this approach that we are 100% able to do our moral duty. I'm not sure how realistic this is, but it is definitely interesting. I was also glad to have the concept of mutual exclusivity explained a little further as well. This makes the approaches less confusing for me. Keep in mind that Kant was a religious man who believed that each person would face their Maker and would be judged by whether or not they fulfilled their moral obligations. 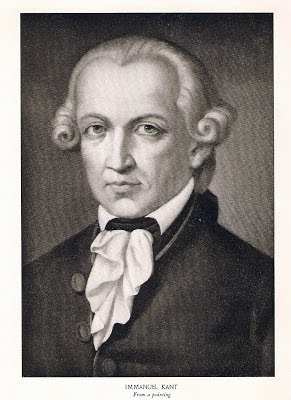 Close to Kant is Gandhi's philosophy who promoted that the 'Voice of Conscience' or the 'still small Voice' which comes from within, is that which comes as a command and the agent is compelled to do ones duty. 'Duty is the command of conscience'. Wow, this article has reminded me the importance of thinking about ethics and current events in our society. For the smooth running and functioning of a country, ethics should be adhered by every citizen and articles like this one play an important role in educating the public about ethics. Thanks so much for the commitment to keep us updated with new information. Find time and read my article by clicking on Professional Help with Writing a Dissertation Paper.